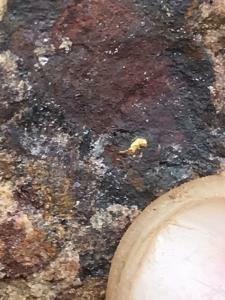 VANCOUVER, BRITISH COLUMBIA, CANADA, October 17, 2018 /EINPresswire.com/ — Guyana Goldstrike Inc.(TSXV: GYA,FSE:1ZT) is pleased to report first batch assay results from Trench TTR-18-09 at the Toucan Ridge area on its Marudi Gold Project ("Marudi" or the "Property") located in the Guiana Gold Belt, Guyana, South America. Trench TTR-18-09 first batch assay results have returned values of 12.50 metres of 1.61 g/t au including 1.80 metres of 3.63 g/t au. The trench is located approximately 300 metres eastward of trench TTR-18-06 along Toucan Ridge. ¬298.30 metres has been excavated, sampled and mapped, with five (5) sections identified as bearing quartzite-metachert host rock with magnetite. Additional samples are pending from trench TTR-18-09 and will be released once received and reviewed by the Company. A total of 1128 metres of trenching has been completed in the Toucan Ridge area. 390 samples have been taken. The exploration team will continue along the ridge progressing in an eastward direction with each new trench site stepping out roughly in 100 metre intervals, mainly perpendicular to the ridge. The area of interest continues for more than 1.75 kilometres to the east of trench – TTR-18-06. 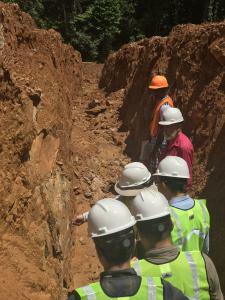 Trench sites are planned where quartzite-metachert is exposed or interpreted to occur beneath the transported overburden. 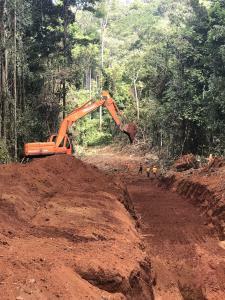 The eastern part of Toucan Ridge is approximately 400 metres south of the Paunch area which was trenched in May and returned the Company’s first significant gold discovery. There has been 42,000 metres of historic diamond drilling (141 holes) completed on the project by prior operators that have delineated two zones of mineralization: Mazoa Hill and Marudi North zones. The Company has recently completed a mineral resource estimate on the Mazoa Hill zone containing 259,100 indicated gold ounces within 4,428,000 tonnes grading 1.8 g/t and 86,200 inferred gold ounces within 1,653,000 tonnes grading 1.6 g/t. There exists excellent exploration upside through the development of previously and newly identified mineralized bedrock targets on the project. Previous Previous post: 6th Annual Plan to Give Conference for Financial Professionals Focused on Charitable Giving Strategies.